Web Developer by Day, Mad Typist by Night: My Urban Fantasy Sold to Del Rey! I am so stoked I can finally announce to the world my good news! Especially since I've been sitting on this since last week. My Urban Fantasy, HOARDING YOUR HOWLS, will be published by Random House Del Rey Books in 2012 with Tricia Pasternak as the editor! 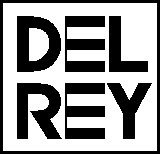 (Thank you so much, Betsy Mitchell, editor-in-chief of Del Rey!) Woo hoo! This book was born from an idea I got from one of my husband's physician magazines. (American Family Physician ) I saw an article on OCD and my mind started whirling about what I could do with it. What kind of adventures could a character go through if they were a werewolf with OCD? From that point, HOARDING YOUR HOWLS was born. I started the book last year, but I didn't wrap it up until around February 2010. After all the fun edits with my crit partners, I handed the book off to my agent Jim McCarthy and he helped me pull it through the wringer until that puppy shined. Now I can happily say all that work paid off! I have a two book deal! With a fabulous house where my inner geek can feel comfy and happy! The shock has not worn off yet, and I am so grateful to my friends for their support on my journey. Thank you so much! And Del Ray -- how cool is that!? I'm super happy for you and can't wait to see HOARDING YOUR HOWLS on shelves! OMG yay! Congratulations, Shawntelle! I'm so happy for you! Congrats!! SO excited for you! I can't wait to read this book! WOOHOO! You've worked so hard. You deserve it. I'm so excited for you!!! Woo hoo! Well worth the wait! Woot! Congratulations on finding your book a home :) what a cool idea for a series too. Congrats, congrats, congrats! You so deserve it.